Mongolia is a one state country in Asia between the Soviet Union, Tannu Tuva, The Japanese puppets in China and the Chinese Warlords. It has mountains in the west, deserts in the south and forests in the north. With the fall of the Qing dynasty in 1911, Mongolia under the Bogd Khaan, (Mongolia's civil and religious ruler) declared independence. But, the newly established Republic of China considered Mongolia to be part of its own territory. After the 1915 tripartite Kyakhta Agreement, Russia, RoC and Mongolia agreed that Mongolia was autonomous under Chinese Control. In 1919, after the October Revolution in Russia, Chinese troops re-occupied the country due to fears of communism spreading to mainland China. On October 1920, The White Russian General Baron Roman von Ungern-Sternberg led his troops into Mongolia, defeating the Chinese forces in the capital city of Ulaanbaatar. There, Ungern's eccentric, often violent treatment of enemies and his own men, earned him the sobriquet "the Mad Baron". In February 1921 he expelled Chinese troops from Mongolia and restored the monarchic power of the Bogd Khaan. In June 1921, Communist Mongolian Partisans aided by Soviet Russia established control over parts of the country and on July 6 The Bolsheviks would defeat the white army forces and seize the country for themselves, establishing a communist regime aligned with the Soviets. Mongolia, lacking a unique national focus tree, uses the generic national focus tree instead. Mongolia starts with 2 research slots. in 1936, Mongolia is a Communist nation with no elections. Mongolia is very weak industrially and resourcefully. 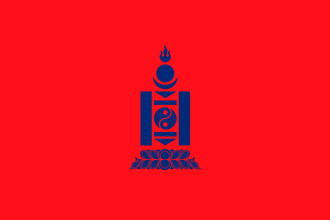 It has 3 civilian factories and 1 military factory in its only state, Mongolia. Mongolia has only 2 steel and 4 chromium. Mongolia is very weak militarily as it only has cavalry. Mongolia's Cavalry divisions are 3 cavalry units big. Because Mongolia is Landlocked, it has no navy. Have a good strategy for Mongolia? This page was last edited on 9 December 2018, at 08:35.